"If I was the president. 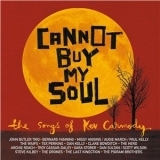 I'd pay my mama's rent"
Cannot Buy My Soul: The Songs Of Kev Carmody (this album) (compilation) (2007). Sorry, no matches on eBay for "Cannot Buy My Soul - Archie Roach Kev Carmody & Various Artists".